Rampage 86619 Trail can utility tool box « Adafruit Industries – Makers, hackers, artists, designers and engineers! 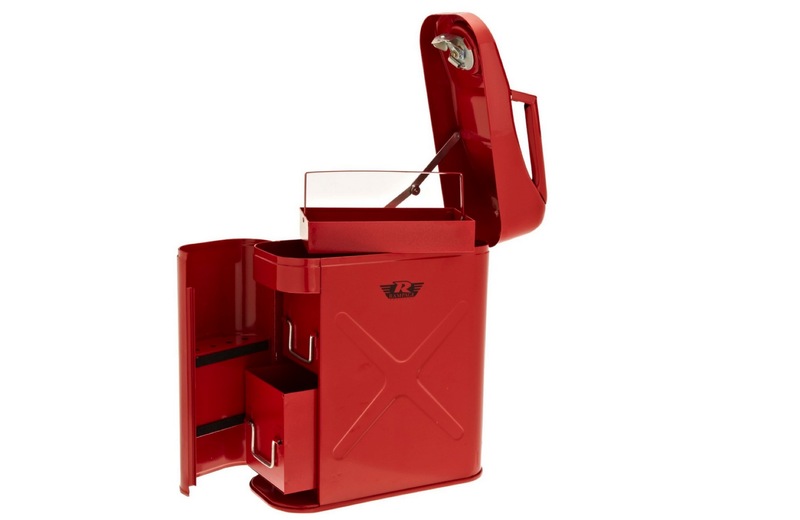 The Rampage Trail Can Utility Tool Box looks like a standard 5-gallon Gerry Can, but is made to store tools and accessories while you’re out on the trail. It comes equipped with a locking lid, a lift-out tool tray, two removable drawers, screw driver storage slots, and has non-slip soft liners. The Trail Can also features heavy duty 14-gauge steel construction and a red powder coated finish for durability.